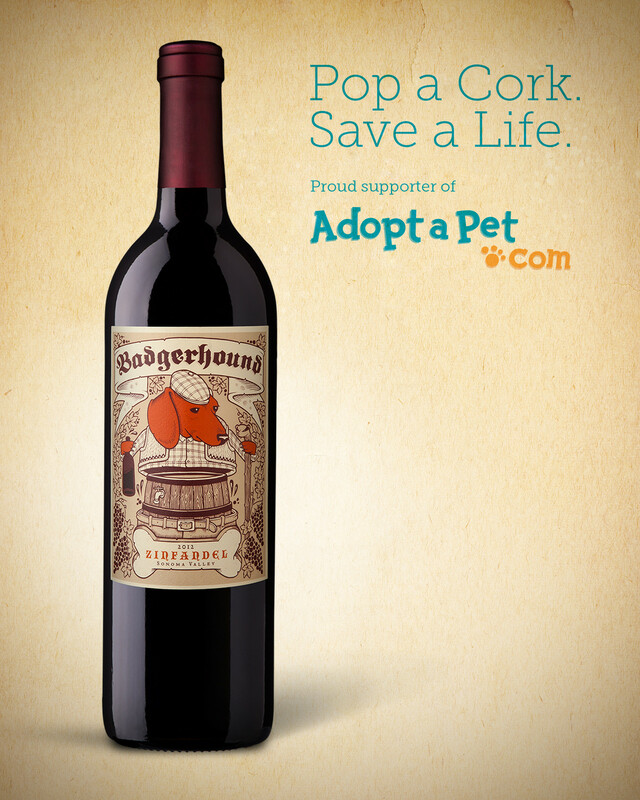 Adopt-A-Pet.com News < Pop a Cork. Save a Life. Pop a Cork. Save a Life. Daylight Wine Co. is donating $1 for every bottle of their Badgerhound 2012 Zinfandel Sonoma Valley sold through their website to Adopt-a-Pet.com in hopes of being a small part in more amazing transformations just like Winnie’s, an amazing comeback story. One of their resident dachshunds, Winnie, transformed from the fearful and anxious dog they rescued, into a confident, beautiful and loving office hound. Daylight Wine Co. has this to say about this particular wine offering: Looking for a tentative Zinfandel? You won’t find it here. Just like the dachshund himself, this wine leads with a great nose. A tenacious Zin in every sense of the word, it is HUGE in character. Candied fruit leads the charge, and is perfectly balanced with black pepper. Soft and velvety tannins provide great mouthfeel without overwhelming the big fruit flavor. Tarragon and fennel notes at the tail end.